The global market for urolithiasis management devices is teeming with regional players, but the stronghold mostly lies with their larger global counterparts. This is because the latter command considerable capital which they are seen funneling into cutting-edge research and development of superior products. In order to retain their supremacy they are also seen acquiring niche device developers worldwide. This has also served to increase their geographical outreach. Prominent players in the urolithiasis management devices are also strengthening their distribution networks in order to grow sales. The market which is maturing is seeing competition intensify by the day. The continued progress in underpinning technologies is making the market highly dynamic too. The global market for urolithiasis management devices has been seeing steady rise on the back of rising instances of kidney stones. As per the research study of National Kidney Foundation of the U.S. released in 2015, 1 in 10 people in the nation are afflicted with kidney stones and over a half a million are admitted annually in emergency wards of healthcare centers for management of kidney stone. Overweight and obesity problems and a growing pool of elderly most likely to have kidney stones because of lessened renal function and diabetes are some of the main drivers of the market. Emergence of a range of non-invasive treatments in the global market for urolithiasis management devices is also promoting growth. The non-invasive treatments are effective and also help to bring down the duration of treatment. However, certain treatment methods with considerable side effects are proving to be a roadblock to market growth. For instance, lithotripsy which is a particular urolithiasis procedure that entails sending of shockwaves across the body to target kidney stones with a high-degree of precision, may end up damaging soft tissues. This could even result in total loss of renal functions. Yet another challenge to increasing sales is the steep cost of latest urolithiasis management devices, equipped with novel technologies. Among the various end users in the market for urolithiasis management devices, clinics are expected to generate maximum demand. 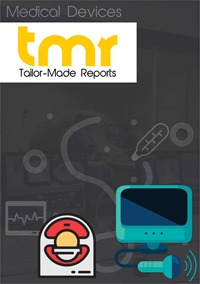 Ambulatory surgical centers are also predicted to have healthy growth rate in terms of demand and revenue because of their rising use in developed nations of the world. The two types of urolithiasis management devices available in the market are shock wave lithotripters and ureterorenoscopes. The shockwave lithotripters are primed to pull in significant revenue in the years ahead. From a geographical standpoint, the region predicted to surpass others vis-à-vis growth rate is North America. Asia Pacific is also expected to emerge as a lucrative region because of a substantial proportion of population who are old and increasing number of high-income patients. Some of the prominent participants in the global market for urolithiasis management devices are C. R. Bard, Inc., Boston Scientific Corporation, and Cook Group.